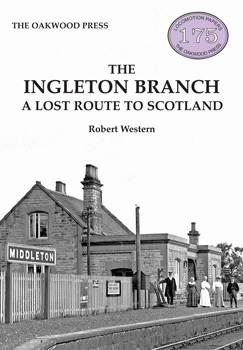 This is a new edition, enlarged and much revised of the book originally published in 1971 as The Lowgill Branch. Actually this line, between Ingleton Midland and Lowgill or Low Gill was never known as this and the original book title was dubbed in error by the then publisher, communication having been disrupted by the postal strike. The line was actually called the Lune Valley Line or the Orton Branch before being known as the Ingleton Branch. It was located in the northwest corner of Yorkshire running into Westmorland. The book is in typical Oakwood style starting with the origins of in Chapter One with the final chapters dealing with decline and closure, motive power and after closure. Maps and diagrams, photographs and several appendices detailing Bills, stations, bridges and viaducts make up the typical Oakwood cocktail of ingredients and make for an attractive and digestible book.